Coin and Currency Solutions is a Buffalo NY based provider. We are an owner operated company that can provide an end to end solution for ATM's, money counters and sorters, coin sorters and counters, credit card processing, and more. We have been in business since 2002 and are on call 24/7. Contact Coin and Currency Solutions today. We would be happy to present you with the best options based upon your businesses specific needs. Equipment is available for rental for your special event. Contact us today to discuss your needs. CCS offers a full line of coin sorters, coin counters, money sorters, and money counters. In addition to equipment sales, we are able to service all brands. We are based the Buffalo NY area and would be happy to provide you with a free estimate. It is a natural add on for your trusted ATM provider to be able to service your credit card processing needs. Coin and Currency Solutions had partnered with a leading provider to be able to provide you with the lowest possible rate, along with top equipment brands. In addition to saving money with CCS, you will receive local service and a trusted provider. Contact Coin and Currency Solutions today for a comparison quote for your business. 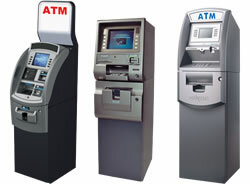 Coin and Currency Solutions is proud to offer a full range of custom ATM cabinets. Our ATM cabinets are ideal in high end retail and lodging environments and can be designed to be a perfect match to your existing trim and finishes. Contact us today to discuss your needs and to review pricing.